I’m weary from the journey, friends. The last few weeks I have entered in to a season of uphill steps. It’s nothing too dramatic, especially compared to many challenges people face. Maybe you can relate. For me, fairly simple frustrations or tasks often compound quickly and, if I give in to it, life can suddenly feel overwhelming and cumbersome. My main reason for sharing this with you is to admit I don’t have it all figured out. It’s so easy to write upbeat, encouraging posts about life or share writing tips and favorite books we’ve been reading. Those are great and hopefully you enjoy reading those posts. But we can go deeper, can’t we? Going deeper is constructive. That’s exactly what I hope to do here with you. My prayer is that you read this post and think to yourself Right on, girl. or Thank goodness it’s not just me! No, it’s not just you. It’s not just me. This situation of life is full of mountains to climb, presenting us with–at times–a frantic search for strongholds, grooves on which to place our hands and feet so we don’t slip and fall. Right now, the tips of my fingers ache as I’m holding on for flatter ground. I’ll get there. So will you. The other reason I’m sharing today? Because when we attempt to paint a picture of our lives being without fault, fear, challenges, disappointments, etc. then we diminish our need for a Savior. I need Jesus. Every single day. Each of those bullet points above are only drops in an overflowing bucket of reasons I need Him. Don’t get me wrong. I am blessed beyond belief, and I know it. I’m thankful for so many things. But my sinful nature often convinces me that it’s okay to wallow in my insecurities and failures. I am equally, if not more grateful for the things in this life that bring me to my knees in front of the only One who can wash the struggle and sin away. take courage; I have overcome the world. There is great humbleness in realizing our need for being saved. I know friends who have struggled with not feeling worthy of Jesus’ sacrifice. They’re right. None of us deserve it. Not one of us are worthy of being saved. That is grace. (Yes, grace again, friends.) Grace can’t be earned, but is freely given. Don’t you find that mind-blowing? Even though I’m not worthy, Jesus took my sins to the cross with him. He takes my worry, my weariness, my fatigue, my selfishness, my anxiety. And He never asks for a break. This week, today, I need this reminder. I’m tired and a bit out of steam. But Jesus sees me. He sees you. He’s offering a hand to steady my steps, strong arms to carry my tired heart, and promise of never leaving my side. I hope you hear these words today and write them on your heart, too. How are you doing this week? 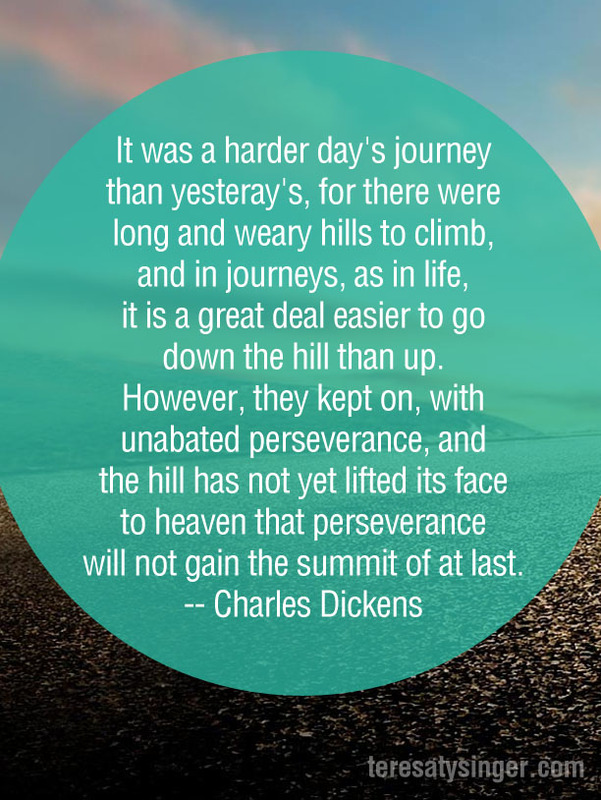 What are your struggles, worries, fears, steep climbs? This is a community where I hope you know you’re safe to share. I’d be honored to pray for you. Thanks for letting me share what’s going on in my life lately. What’s going on here…well, Hell is in session. I can’t control the pain, nor the bleeding in my gut, and the only thing I have to keep me going is guts, and field-expedient saline IVs (yes, I know how to do that without killing myself). IF I can find a vein.,.but I’ve lost so much blood that they’re all blown. And I’m afraid to sleep, because I may not wake up. I’ve said some just-in-case goodbyes. To my wife…”Well, it’s been fun. I’d do it again” Followed by a fist-bump. You can’t say I’m not romantic. But with God…well, God gave this to me, rather than dropping it on someone else, because He knows that I’m vicious and ruthless enough to run with it, and thrive. Professional survivors are not necessarily warm and fuzzy people to be around, but they’re sure good at carrying on…l’ve always said that the only things that will survive Armageddon are cockroaches…and me. And when God’s tired and needs a rest, He can doss down right behind me, because NOTHING on earth, or in Heaven or hell, gets past a thoroughly p***ed-off Mongolian. Rest easy, God. I got Your back. So glad you shared with us, Andrew. You sure do exemplify strength in adversity! Prayers with you, brother. So well written, Teresa!! I am so very thankful, blessed & sometimes awestruck to call you ‘daughter’! You inspire me with your words, your faith & your love! Thanks, Mama. I love you!! Teresa, what beautiful and transparent thoughts! I’m praying for you, friend! Thanks, Cynthia! You’re a great supporter!]. I completely agree, it’s very hard. Thanks for your support!